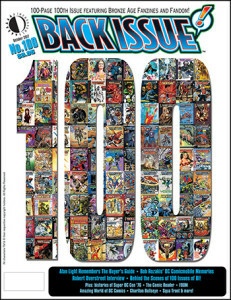 In Previews Now: BACK ISSUE #100! 100-PAGE CENTENNIAL ISSUE featuring Bronze Age Fanzines and Fandom! This entry was posted in TNT on 31 May 2017 by Mr. Morrow.